Julia Hartley-Brewer and Our Future, Our Choice spokesman Femi Oluwole clashed on air on Friday, with the campaigner challenging Hartley-Brewer to explain what the single market was. 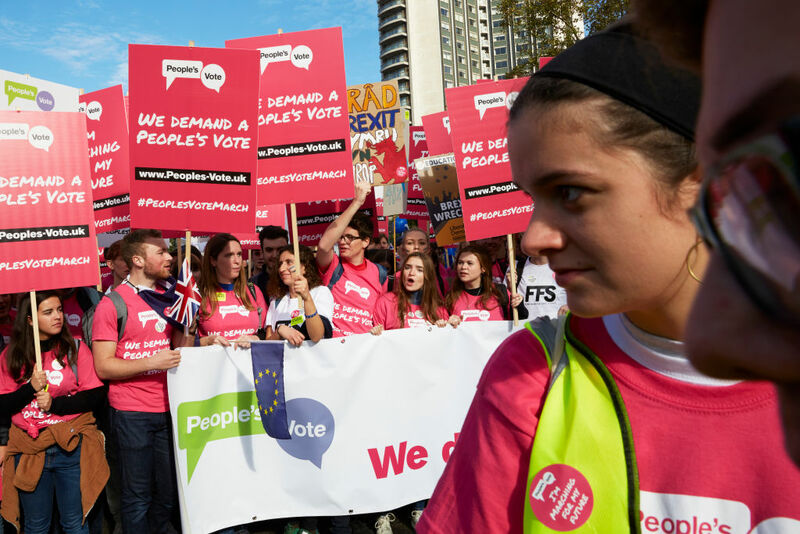 On Thursday, Our Future, Our Choice released a report written by an Oxford University economist that claimed a “WTO-style Brexit” - in other words, a no deal Brexit where the UK reverts to World Trade Organisation trading rules - could cost young people £76,000 and cause a loss of earnings of up to £108,000 by 2050. By comparison, the Chequers deal would cost youngsters £51,000, the report said, and an EEA-style Brexit - where the UK retains the privileges of being in the trading bloc - £20,000. Sir John Major endorsed the report and wrote its foreward. “The issue here is that people don’t believe these figures in general, because people feel that experts have been discredited,” said Oluwole. “Well, you can google it!” replied Hartley-Brewer, adding that if people hadn’t looked it up, they “clearly don’t care enough”. Read more: The customs union is a key part of Brexit – but what is it? Oluwole then challenged her to explain the single market. “It means we don’t have international borders to trade with other countries,” she said. “But in detail, what does that mean?” Oluwole replied. Hartley-Brewer said the doom-laden forecasts for the economy hadn’t come to fruition after the referendum. “The reason people don’t trust this [these figures], it’s not that they lost faith in the credibility of experts, it’s because what we were told by all the experts... ahead of Brexit, that these are the terrible things are going to happen,” she said. “The real difference is going to come if we leave the EU,” Oluwole said. “It does depend what the barrier is,” Hartley-Brewer replied. Oluwole’s use of ‘if’ didn’t go unnoticed. “I like the fact you said ‘if we leave’, it’s ‘when we leave’, I’d like to correct that,” said Hartley-Brewer. But Oluwole said that, as the likelihood of a no deal Brexit increased, so did the likelihood of a People’s Vote. “Given that the deal isn’t going to make it through parliament there’s going to be a situation there where we end up with no deal come December,” he said.